His family say they are “devastated and heartbroken” at his death. A TEENAGER FROM West Yorkshire is believed to have become the UK’s youngest ever suicide bomber yesterday, after reportedly blowing himself up in an attack in Iraq. 17-year-old Talha Asmal was one of four suicide bombers who attacked security targets near an oil refinery near Baiji, to the north of Baghdad, the BBC reports. 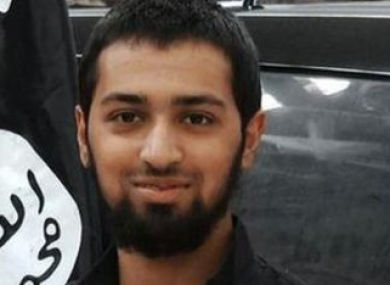 His picture was released by Isis yesterday, with a statement saying he had detonated a vehicle fitted with explosives, according to The Guardian. His name was given by the militant group as Abu Yusuf al-Britani. However, after media reports identified him as Asmal the teenager’s family released a statement today expressing their grief . “Talha was a loving, kind, caring and affable teenager,” their statement said. He never harboured any ill-will against anybody nor did he ever exhibit any violent, extreme or radical views of any kind. “Talha’s tender years and naivety were, it seems however, exploited by persons unknown, who, hiding behind the anonymity of the worldwide web, targeted and befriended Talha and engaged in a process of deliberate and calculated grooming of him. We are all naturally utterly devastated and heartbroken by the unspeakable tragedy that now appears to have befallen us. At least 11 Iraqi security personnel were killed in yesterday’s quadruple suicide car bombing near Baiji. Islamic State said four of its foreign fighters carried out the attack. Seven soldiers were killed, AFP reported – as well as four members of the Popular Mobilisation force, an umbrella for mostly Shiite militias and volunteers that has been doing much of the heavy lifting in the fight against IS in Iraq. An army officer said the vehicles used were identical, brand new SUVs that looked like an official convoy. Pictures released by IS showed the black-clad suicide bombers each standing by one of four black Toyota Land Cruisers. An Isis statement said that the bombers were a Kuwaiti, a Palestinian, a Briton and a German. Email “This 17-year-old became 'Britain's youngest suicide bomber' yesterday”. Feedback on “This 17-year-old became 'Britain's youngest suicide bomber' yesterday”.